Comedies almost never win Cannes; the rationale, one must assume, is they aren’t “serious” enough for the most prestigious film prize in the world. That makes this year’s Palme D’Or winner, The Square, a welcome anomaly. Like writer-director Ruben Östlund’s last movie, Force Majeure, it’s a hilarious savaging of male ego, with the ego in question this time belonging to a fashionably “highbrow” museum curator (Claes Bang) whose actions don’t always square with his stated values. 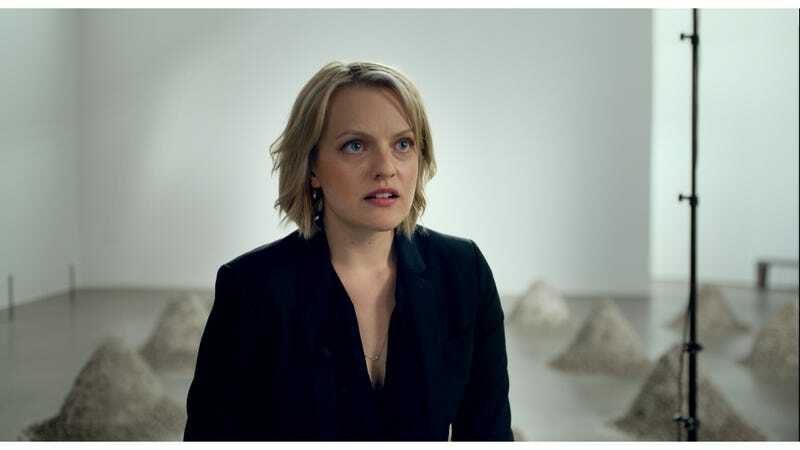 The Square announces its often bone-dry sense of humor—and its pitiless puncturing of pretensions—in its opening scene, when a journalist (Elisabeth Moss, terrific as always) puts our main character on the spot about some of the language in his publicity materials. You can check out an exclusive excerpt of the scene above, look for our official review of this scathingly funny award-winner later this week, and see The Square in select theaters starting this Friday.